Jesus told Peter, and now Peter tells us—Christians are going to be insulted and persecuted for believing in Jesus. So the fact that life is hard shouldn’t come as a surprise. Peter then goes on to elaborate on how Christians should live in spite of the mistreatment. —dear friends, do not be surprised (v. 12). 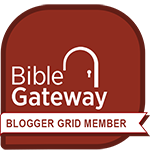 I like this verse in the Amplified Bible: Do not be amazed and bewildered at the fiery ordeal which is taking place to test your quality, as though something strange (unusual and alien to you and your position) were befalling you. After all, Jesus told us this was coming (see John 15:18-20). —but rejoice that you participate in the sufferings of Christ (v. 13a). Notice that this should be the sufferings OF Christ, not of our own making. —let suffering lead to Spirit-led reflection (notice the if’s in vv. 14-18, and the if’s in what Jesus said in John 15:18-20). We need to make sure our suffering is because we’re standing for Jesus, not because we’re being jerks! David asked God to check if his actions were the cause of his persecution (Psalm 7:3-4) and we should too. If we discover that we’re the one to blame, quickly apologize, ask for forgiveness, and make things right. —keep your focus on when His glory is revealed (v. 13b). Time is short, and the rewards are sure so don’t remain focused on the immediate pain, but look up to the longterm gain. —do not be ashamed to suffer for Jesus (v. 16). Jesus told us not to be ashamed of Him because He is not ashamed of us (Luke 9:26; Hebrews 2:11). —stay committed to your faithful Creator (v. 19a). Staying committed means getting even closer to God in the hard times. —continue to do good (v. 19b). What does continue to do good look like? Peter lists things like being self-controlled, helping others that are being persecuted, showing proper respect, having a good work ethic, not trading insult for insult, and many other commands. Bottom line: doing good means living like Jesus lived while He was on Earth (see Acts 10:38). 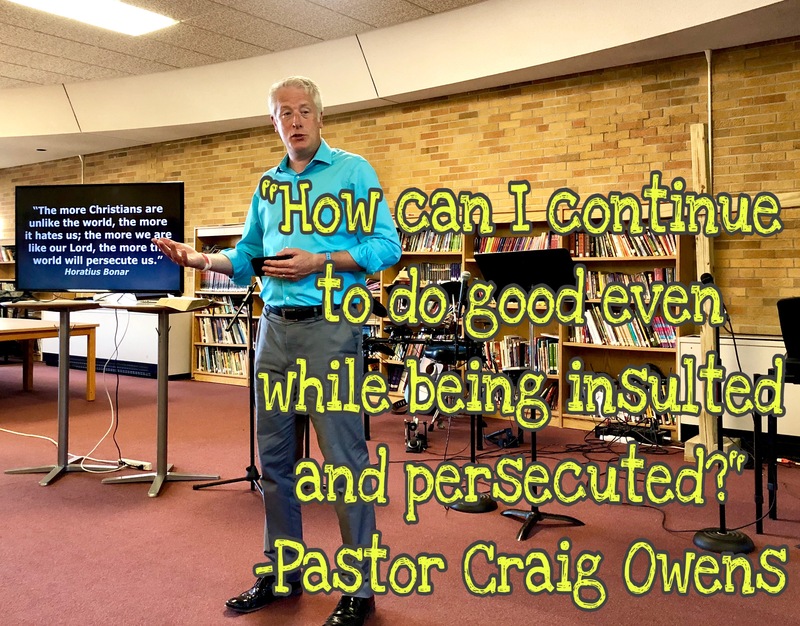 How are you handling insults and persecution? Are you continuing to do good despite the mistreatment? Join me this Sunday as we continue to learn how Christians are to live as aliens and strangers while we visit Earth. You can join us either in person or via Facebook Live.